In order to guarantee a server is down machine and make the site visit to the problem, now all servers has been successfully installed double machine hot backup system. In a server failure occurs, standby will active alternative host, to ensure that the network service uninterrupted. 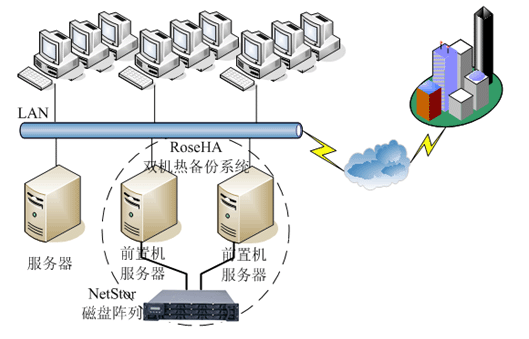 Double machine hot backup system adopts the "heart" method ensure the main system and standby system contact. The so-called "heart", it refers to the master-slave system between according to certain time interval to send communication signal that their system current running status. Once the "heart" signal to stop show host system malfunction, or standby system cannot receive host system "heart" signal, the system availability management software that host system malfunction, the host will stop working, and system resources transfer to standby system, backup system will replace host play a role, in order to guarantee that the network service uninterrupted. Copyright © 2010 Lutu Corporation. All Ringhts Reserved.